It's unclear where Snap, Crackle, and little Pop here actually come from, but we like to think it's from some kind of land where cereal grows on trees, or perhaps rains from the sky. Cereal: the food we would eat everyday, for every meal, every fourth meal, and every single snack. The number of things you could do in this costume are many. MANY! First, you should consider getting your two best friends together to create the classic Kellogg's trio proper. Another idea? Make delicious Rice Krispies treats while wearing this costume because we guarantee they'll taste better because of it. Actually, we don't guarantee that, but it sounds like it might be fun and would also be a cool thing to post on Instagram. Last good idea we have is to go to a party (any party will do) and hand out those little miniature boxes of Rice Krispies to party goers. You can tell them that you made the cereal yourself. That might not be the truth, but if you're wearing this costume, it would be more plausible! 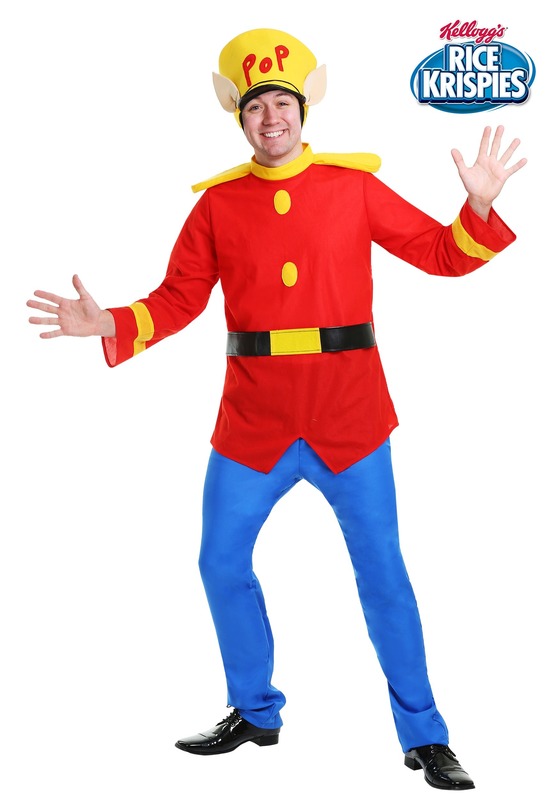 And isn't plausibility what you're after with a costume like this? 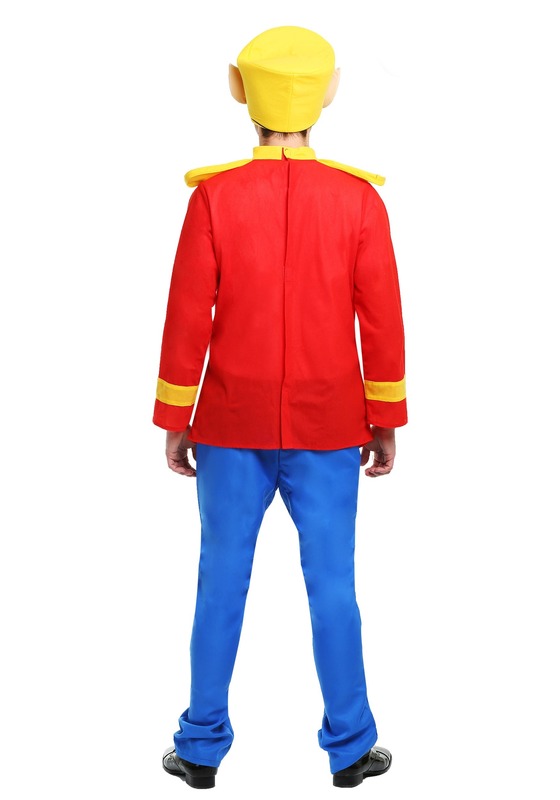 Plausible is only possible with this OFFICIALLY licensed Pop costume for adults. It's bright and colorful, with cartoonish details that bring the cereal box artwork to life. It's even got a little yellow hat with "POP" on top! Can't beat that if you're a cereal lover like we are. The only thing that might beat it is a big stack of warm Rice Krispies treats sitting in the breakroom with a sign that says, "FREE." That happened once. It was a good day.